It was a quiet week on the Full Tilt front, which allowed us to delve into some fun stories — like seizures of online poker funds. 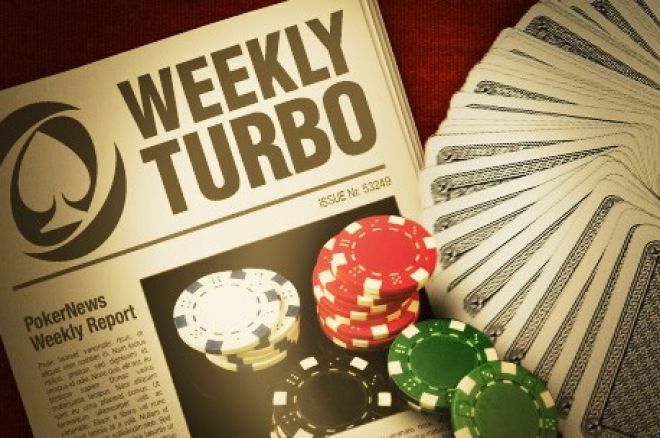 In this edition of the Weekly Turbo, you'll get a look into the millions of dollars seized in South Carolina and Switzerland, NBC cancelling the National Heads-Up Poker Championship, and more. On Wednesday, a daily newspaper in Switzerland learned that the Justice of Geneva has seized more than 18 million Swiss francs (around $20 million) in connection with online poker sites. La Tribune de Geneve reports that the money was seized on Sept. 26, and could possibly be tied to the 10 men indicted by the Department of Justice on Black Friday. On Sept. 19, theManhattan United States Attorney's Office amended its April 15 complaint against online poker companies to include charges against the board members ofFull Tilt Poker, including Howard Lederer, Chris Ferguson, Ray Bitar, and Rafe Furst. The Department of Justice then issued a warrant in rem to seize the bank accounts of Ferguson, Lederer and Furst, leaving their property at risk. The FBI was given authorization to take control of any funds discovered a number of accounts, one of which was held atPictet & Co Bankers in Switzerland. Wednesday's report in La Tribune de Geneve is written in French, so we’re doing our best to get to the bottom of this. Stay tuned. Nettles also said in a press release that two foreign companies sent more than $40 million into the United States to make payments to players in South Carolina and elsewhere in the country. The names of the two companies were not mentioned. The World Series of Poker Europe Main Event got underway on Saturday, and defending champion James Bord officially threw down the gauntlet to American players from across the pond. Bord offered to refund any losing bets on the WSOPE Main Event (up to $500) on the sports betting site Matchbook.com if an American wins the tournament. Bord, who won last year’s event for £830,401 and now plays in some of the biggest cash games in the world, says he believes Europeans have surpassed Americans in terms of talent at the table. Two Americans have claimed victory in the first four years of the WSOPE Main Event. Norway’s Annette Obrestad took it down in 2007, and then Americans John Juanda (2008) and Barry Shulman (2009) won bracelets before Bord won it in his home country last year. Former November Niner Michael “The Grinder” Mizrachi has joined forces with the Breeder's Cup to host the First Annual Breeders’ Cup Celebrity Invitational. The event, presented by the The Deepstacks Poker Tour, will take place on Wednesday, Nov. 2 at the Horseshoe Southern Indiana. 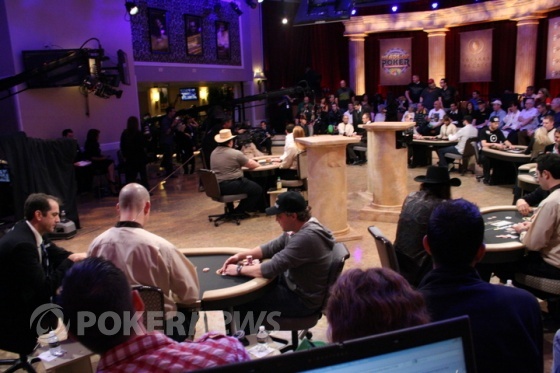 Among the notables expected to participate are Mike “The Mouth” Matusow and2010 WSOP Main Event runner-upJohn Racener, as well as NBA players Brian Cardinal, Jermaine Taylor and Carl Landry. Team DeepStacks Pros expected in attendance include Robert Mizrachi, Justin “Boosted J” Smith, Randal “Randallin” Flowers, Karina Jett, Tristan “Cre8ive” Wade and Team Pokerstars Pro David Williams. The $230 buy-in charity tournament features unlimited $100 rebuys and one $100 optional add-on, with a portion of the proceeds benefiting the Breeders’ Cup official charity,The V Foundation. To register for the event or for more information, visit the Deepstacks website. When selecting his “Team Americas” roster for the upcoming Caesars Cup event at the World Series of Poker Europe in Cannes,Phil Hellmuth went with experience. A lot of experience. The team boasted 39 WSOP bracelets and none of the team members were under the age of 35. However, with the news that 10-time bracelet-winner Doyle Brunson won’t be making the trip to France this month, the Poker Brat took to Twitter Wednesday looking for an alternate. Later in the day, Hellmuth made his decision. Mercier, 24, has arguably accomplished more in the past four years than anyone in the game. 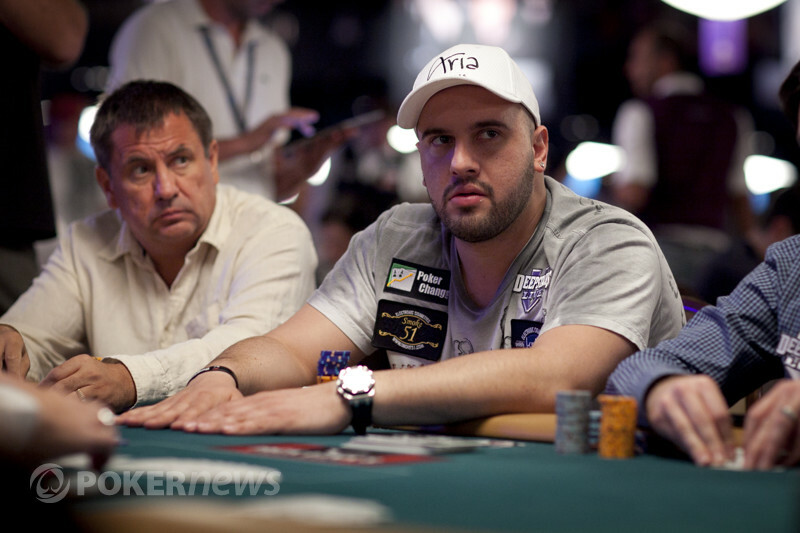 He has two WSOP bracelets, a European Poker Tour title, several High Roller victories, and nearly $6 million in earnings. He’s the No. 1-ranked player in the world in both the Global Poker Index and ESPN’s The Nuts. #whenwillitend. Minutes after selecting Mercier, it was announced that Huck Seed also wouldn’t be making the trip. In staying with the “young gun” theme, Hellmuth replaced Seed with the player he’s currently chasing for WSOP Player of the Year, 26-year-old November Niner Ben Lamb. Mercier and Lamb join Hellmuth, Johnny Chan and Daniel Negreanu as part of Team Americas.Bertrand "ElkY" Grospellier’s Team Europe squad features Jake Cody, Gus Hanson, Dario Minieri and Maxim Lykov. The two sides will face off in the Ryder Cup-style poker event on Wednesday, Oct. 19 in Cannes. For more info on the Caesars Cup, visit WSOP.com.